Lime Green Bow wrapped with pink and lime green polka dots! 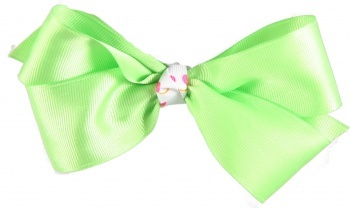 This bow is wrapped boutique style with a 1.5" shiny lime grosgrain ribbon. Polka Dots will liven up any outfit, this lime green is a must have for your hair collection.